Current world is changing quickly to face the challenge of competitive free market economy. To keep pace with the trend, organization’s need executives with modem knowledge. The course practical orientation in Human Resources Department is an essential part of the MBA program. Under this course the students are sent to gather practical knowledge about Multinational Company, Local Renown Company and others well reputed organization environment and activities. The students also have to submit a report on practical orientation in institution. Mr. Shahriyar Anam, Head of the DBA, authorized me to do the practical orientation. The topic of this Report is “”Importance of Training of Beximco Pharma”. I have responsible my practical orientation course at BEXIMCO PHARM (HR Department) and submitted this Report to Beximco HR office. As study related current data are not available, I had to discuss with concern persons for getting up to data information. This study will only cover HR and Training Activities of Beximco Pharmaceuticals Ltd. Head office. There are lacks of sufficient primary and secondary information source.  The time of internship program is too short time to know about the total activities of an organization like BPL and relate concepts to practice.  Company will not give me the total information as it is very sensitive issue, which was needed to explore the current position.  There will be not enough information on the Internet.  I will only gather information from HRD of BPL.  The probable cause of the mistake may be because of the communication gap between the interviewer and interviewee due to differences in my maturity level and understanding. “We firmly believe that in the final analysis we are accountable to each of the constituents with whom we interact; namely, our customers, our employees, our suppliers, our shareholders, and fellow citizens”. The vision of BEXIMCO reflects in the Chairman following statement (Groups Annual Report 2000). Beximco was first established in 1965 to produce high quality jut yarn for the international carpet market. But with the passage of time over the last 37 years, the Beximco group has expanded dramatically and become the leading business and industrial stalwart in Bangladesh. Today the company is one of the leading foreign exchange earners in the country’s private sector. Beximco is a group of 34 companies and most of these are being operated through eight divisions. International Knitwear & Apparels Ltd.
Beximco Property Development & Management Ltd.
Bextex Ltd. is the most modern composite mill in the region. Bextex Ltd. has an installed capacity of 288 high-speed air-jet looms in its weaving section and a high-tech dyeing and finishing section with a capacity of 100,000 yards of finished fabric per day. This company is located at the BeximcoIndustrial Park . International Knitwear and Apparels Limited (IKAL) a member of Beximco Group started its commercial production during July 1997. IKAL is a 100% export oriented garment industry, located at BeximcoIndustrial Park, Sarabo, Kashimpur, Gazipur. 5. Crescent Fashion & Design Ltd.
Crescent Fashion and Design Limited (CFDL) a member of Beximco Group started its commercial production in 2005. CFDL is a 100% export oriented woven garment industry, located at BeximcoIndustrial Park, Sarabo, Kashimpur, Gazipur. Esses Fashions Limited (EFL) a member of Beximco Group started its commercial production in November 2004. EFL is a 100% export oriented knit garment industry, located at BeximcoIndustrial Park, Sarabo, Kashimpur, Gazipur. Apart from these there are some other companies being operated within the group’s corporate structure. Organizational Structure of Chemical Division is shown in the next page. Pharmaceutical industry is one of the most important sectors in Bangladesh. The scenario of pharmaceutical industry can be described in two parts- before the Drug Policy Ordinance in 1982 and after the Drug Policy Ordinance in 1982. Before 1982, there were 177 licensed pharmaceutical manufacturers in the country but local production used to be dominated by the big multinational drug companies (MNCs) which manufactured the lion’s share about 75% of the products, 25 medium sized national companies manufactured another 15% of the products and 133 small local companies (LCs) produced the remaining 10%. These multinational companies were fully armed with the technical know-how for producing sophisticated essential drugs, but they were only engaged, to a large extent, in formulation of simple drugs including many unnecessary products. At that time, the unregulated drug market of the country had very favorable conditions for pharmaceuticals to over price their products. That time local firms could not compete effectively with these multinational market tycoons. Pharmaceutical sector is one of the most developed hi tech sector which is contributing in the country’s economy. A great change was noticeable in the pharmaceutical industry after the Drug Policy Ordinance of 1982. The total national production of pharmaceuticals has risen by a substantial 63%; the value of essential drug made in national factories has gone up by 140% over the four years following the drug policy promulgation. At present, more then 97% of the total demand of medicinal products is met by local production. Local companies (LCs) increased their share from 25% to 70% on total annual production between 1982 and 2000. In 2000, there were 210 licensed allopathic drug-manufacturing units in the country and now there are 265 registered companies are operating. Few of the multinational companies closed their business in Bangladesh, as it was difficult to make huge profit after the Drug Policy. Among the multinational companies ACI and Pfizer are now running its business in national ownership. Pharmaceutical sector has become one of the largest sectors in earning foreign currency after ready made garments (RMG). Meeting more than 97 percent demand of the local market, Bangladeshi drugs gained a significant position in the world’s drug market. Locally manufactured drugs are now being exported to more than 52 countries across the globe like- Vietnam, Singapore, Myanmar, Bhutan, Nepal, Sri Lanka, Pakistan, Yemen, Oman, Thailand, and some countries of Central Asia and Africa. Ten companies are occupying more than 60 % of market share, where there are more than 250 (registered and unregistered) companies in Bangladesh Pharmaceutical Market. Out of these top ten pharmaceutical companies in Bangladesh, eight are local companies, while only two are multinational companies (MNCs). The top two domestic manufacturers, namely Square and Beximco Pharmaceuticals are having a combined market share of about 25% of the total pharmaceutical market of the country. In Bangladesh, Pharmaceutical market has strong prospects (present annual growth rate is 12%-15%). The pharmaceutical business is stable because it has good cash flow, is recession proof, and the market for pharmaceutical in Bangladesh is favorable. This sector is the second largest foreign investment sector in Bangladesh (about 30%). With the development of healthcare infrastructure and increase of health awareness and the purchasing capacity of people, this industry is expected to grow at a higher rate in future. Pharmaceutical Industry has grown in Bangladesh in the last two decades at a considerable rate. Its healthy growth supports development of auxiliary industries for producing glass bottles, plastic containers, aluminium collapsible tubes, aluminium PP caps, infusion sets, disposable syringes, and corrugated cartons. Some of these products are also being exported. Printing and packaging industries and even the advertising agencies consider pharmaceutical industry as their major clients and a key driving force for their growth. Started manufacturing and marketing of license products of buyer AG of Germany and Upjohn Inc. of USA. Listing in the Dhaka Stock Exchange (DSE) as a Public Limited Company (PLC). Commissioning of Basic Chemical Unit. Started export operation with Active Pharmaceutical Ingredients (APIs). First export market operation with finished pharmaceutical products. pharmaceutical company of the country. Introduction of 20 new products. Introduction of sustained release dosage form in the market. Introduction of 12 new products. Commissioning of Metered Dose Inhaler (MDI) plant and introduction of suppository dosage form. Introduction of 15 new products. Introduction of Metered Dose Nasal Spray. Introduction of 13 new products. UNICEF approval of BPL as an enlisted supplier. Introduction of 6 new products. Contract manufacturing agreement of Metered Dose Inhaler (MDI) with Glaxo SmithKline. Introduction of 11 new products. Introduction of small volume parenteral products (Injectables). Establishment of Analgesic-Anti inflammatory plan. Introduction of 26 new products. Won the first prize of ICAB National Awards 2000 for ‘Best Published Accounts and Reports’ in Non-Financial Sector Category. The first Bangladeshi company to supply pharmaceuticals to RafflesHospital- the most prestigious hospital in Singapore. Received “National Export Trophy (Gold)” for consecutive 2 years (1998-99, 1999-2000) Won the Silver prize of ICAB National Awards 2003 for ‘Best Published Accounts and Reports’ in Non-Financial Sector Category Won a tender to supply Neoceptin R and Neofloxin to Raffles Hospital of Singapore for the whole year’s consumption Introduced Anti-HIV drugs for the first time in Bangladesh Diversification into Anti-Cancer therapeutic class. Signed contract with Novartis to manufacture their liquid, cream, ointment and suppository products under “Toll Manufacturing” agreement . Merger of Beximco Infusions Ltd. with Beximco Pharmaceuticals Ltd. Admission to Alternative Investment Market (AIM) of London Stock Exchange (LSE). Launched CFC free ozone-benign HFA based inhalers as the first company in Bangladesh. Overseas Offices And Associates: UK, USA, Pakistan, Myanmar, Singapore, Kenya, Yemen, Nepal, CzechRepublic, Vietnam, Cambodia and Sri Lanka. Export Outlets: Bhutan, Georgia, Germany, Hong Kong, Iran, Iraq, Kenya, Malaysia, Myanmar, Nepal, Pakistan, Russia, Singapore, Taiwan, Vietnam, Yemen, Czech Republic, Mozambique, Philippines, Srilanka, Thailand, Ukrain. Napa Highest selling drug in Bangladesh Pharmaceutical Market in terms of unit. Neoceptin-R Highest selling drug in Bangladesh Pharmaceutical Market in terms of value. Bextrum / Bextrum Gold Emerged as the most admired & highest selling nutritional supplement in Bangladesh Pharmaceutical Market in just one year. Amdocal Highest selling cardiovascular drug in Bangladesh Pharmaceutical Market in terms of value. Tofen Highest selling oral anti-asthma drug in Bangladesh Pharmaceutical Market in terms of value. Azmasol Highest selling Metered Dose Inhaler brand in Bangladesh Pharmaceutical Market in terms of value. Formulation Plants for pharmaceutical Products. Basic Chemical Plants: Produces raw materials of Antibiotics. Pharmatek Chemicals: Produces raw materials of Paracetamol. Beximco Infusions Ltd.: Produces Intravenous (IV) Fluids. Liquid, Cream & Ointment (LCO) Dept. Safety, Health and Environment Dept. (a) Solid Manufacturing consists of granulation, compression and coating. (b) Solid packing has three different types of outputs-strip packs, blister packs and bottles 9 for Vitamins). Liquid, Cream and Ointment (LCO): Liquid products are packed in three different production lines. Cream and Ointment are dealt in a separate room. Antibiotic Formulation: It has two different production lines-capsules and dry syrup & suspensions. Quality Control: Performs chemical and micro-biological tests for products and raw materials. Quality Assurance: Checks environment of different process (cleanliness, temperature, humidity) and physical properties of products and raw materials. Product Development: It has been divided into two R&D teams. R&D-I is responsible for the improvement of existing formulations and R&D-II is engaged in the developments of new formulations. Production Planning: Prepares production schedule and raw materials handling schedule. Metered dose Inhaler (MDI) Plant: It produces inhalation aerosols. Every step follows documentation like-validation of facilities and equipment, trained personnel and preventive materials. Engineering and Maintenance: Provides utility services to different departments and looks after preventive & breakdown maintenance of different machines. Administration: Services provide like-canteen, transport, cleaning washroom, garden etc. Beximco Pharmaceuticals Ltd is keen diversity its capacity of producing and marketing. Strong export demand and international product registration have led BPL to embark on a massive capacity expansion program, as evident in completion of the FDA standard plant will help it to enter into the USA and EUROPE markets. Beximco Pharmaceuticals Limited is the leading drug manufacturer in Bangladesh, announces that it has commenced exporting drugs into Belize of Central America. Beximco Pharmaceuticals Ltd. manufacturer and the largest pharmaceutical exporter of Bangladesh, has started supplying medicines to PacificIsland country, Fiji, a company statement said today. anti-inflammatory agents for the treatment of asthma. introduced Oseflu capsule for the prevention and treatment of human cases of Avian influenza (H5N1) causing Bird flu. World Health Organization has recommended it in the event of an influenza pandemic. HRD is the innovative impression now a days for an organization. HRD obviously deals with the working people. It works to develop employee’s behavior, personal skills, abilities organizational and individual goals and encouraging People to be productive and satisfied employee. Some of the companies in Bangladesh doing HR activities smoothly, Beximco Group is one of them. Beximco Group is a big organization having 8 divisions all over the country covering all the important locations. 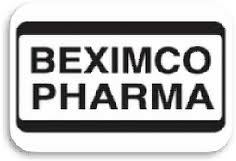 Beximco Pharmaceutical Ltd which is under Beximco Group has almost 2500 employees. HR activities are necessary for BPL, as a pharmaceutical organization- BPL deals with the different employees with the various departments, and many people working there. That’s why successful implementation of HR activities is very much needed. The organization has right number and kinds of people. Effectiveness of procedure for recruiting, placement, career planning, training and development, and promoting all level of employee. Appropriateness of reward system for motivating and changing employee. A work environment that minimize absenteeism and keep turnover at a desirable level. Implications for the future demand of HR. HRD performs administrative function (maintenance and protocol services). HRD can take legal action for misconduct (theft, fraud, dishonesty, habitual late attendance, habitual negligence or neglect to work) of employee. HRD has provided various amenities (washing facilities, canteen, shelters or rest room) for the employee. Responsible for the whole activities of HRD. Implement HR strategy smoothly and properly. Organize the monthly meeting at the end of the month. Attend the monthly and quarterly meeting with the top management. To ensure the smooth work environment for the employees. To measure yearly performance appraisal for the employee. Check out any sort of periodical report and signed whenever necessary. Maintaining overall monitoring and control system. HR officers recruit MPE and officers. They maintain employee’s personal file. They prepare job description for the employee. They provide safety and security for the employee. They also maintain attendance and leave for the employee. Beside these officers do some other extra work when needed and required. Sr. Human Resources Officer BPL. Source: Mr. Faisal Khair Chowdhury, Sr. HR Officer, BPL. BPL management clearly exquisites right number of people at the right placement in the right times. So that, the people will be able to complete their tasks in the most effective and efficient manner. BPL must ensure employees job involvement by providing various types of training and development programs, internal and external workshop, seminars, conferences, etc. the recent days job become more dynamic so that employees should be proper skilled match with the present environment. BPL arranges the development programs for fulfillment of top level vacancy. BPL wants to create motivation by improving personal skills and abilities, compensates people by fulfillment of their needs. The employees may be self motivated by taking BPL’s social welfare activities. BPL ensures employee’s job assurance, providing various types of benefits, and also wants to retain experience personnel in a proper way. Human resource planning is a well set produce which really forecast the future plan for staffing need employees career path, and best combination with people and the job recruitment. Human resource planning provides inputs as to the human resource implication of the business plan. BPL follows five stages for human resource planning. BPL is both external and internal environment for collecting information. In external environment it consider economical feasibility, technological advantages, competitors taken strategy and control of government regulation before taking Human resource planning. In internal environment BPL collect information by sustaining organization short term and long term strategy, current Human resource activities employees’ behavior etc. BPL forecasted demand for Human resource how many and what types of people needed to be carried out organizational future plan. BPL arrange job conducted programs to feasible the work force size. Due to job rotation BPL many arrange training programs for changing employees skill and ability mix, develop managerial succession plan and also individual career plan through conduct needed programs. Incase of BPL the shortage labor has not done yet. But in some cases they have surplus employees. BPL conduct with them for the existing job but when the new vacant created they are switched on that position. Reduction in Force Policy (RIF Policy): RIF policy is one kind of legal document. It is a procedure for lying off employees. Generally layoff policy creates bad expression, hampering productivity and goodwill. If it done through production in force policy its validity will much longer. BPL follow RIF policy. But in BPL its implementation rate is so longer then other organization. Because has no too mach surplus employee. Career Path: BPL completes successful career planning through satisfying personnel. It help them desirable involvement with their job and the employees in a right way which result right job fit. Recent years most of the organization follow spiral career path. BPL also follows it. Where individual personal go up with the lateral position. And gather experience with the diversify himself or herself. The Feedback system of strategies on planning process is vary much essential thinks BPL also done it carefully. If there is any lacking of this process then it return back to the first stage for the verification of this process. BPL implements this procedure it clearly specified. BPL naturally follow short- term planning because it is feasible and time efficient than long- term planning. BPL accomplishes personal job analysis job analysis is a vary much needed things of BPL. Job analysis preserve employee’s adequate information’s and analyzes them and helps to make decision promoting, training, operating and compensating employees. Job description is a legal document. It focused on job. BPL preserve a written narrative description which included with the activities performs in the job information about the requirement working condition under job is performed. BPL also has done job specification focused on employee. It is specifies employees skills, abilities, behavioral pattern and other personal characteristics. There are human and non-human sources for collecting job data are available here in BPL. When doing the job analysis within the short time period BPL uses non-human sources. But when the time is available then BPL goes for human sources for data collection. Recruiting is the procedure where the organization located employees and attract individuals for fulfillment job vacancies. BPL attracted people from a large amount of applicants with highly qualified. The post hiring goal is specified and employee must have to stay 3 years as a certain period. BPL ensure that the reject candidate never sustain with the bad impression when he/ she not selected. BPL should behave in a positive manner to successful applicant. BPL deciding on whether to recruit inside or outside of the organization. BPL replaces current employees for the short time. After that, they recruit from the external sources. BPL is committed to ethical overtone. When BPL recruits some employees to does not give direct appointment to them, it follows provision system. They are giving chance 1 year to employees to match with the job environment. After that BPL ensure their permanent job. BPL recruits its employees from the internal and external sources. In internal sources BPL implied people for the short time period. If their time is available it goes for external recruiting process. Most of the time BPL recruit employees by externally include. Internally recruitment process for BBL does not occurred for all time. Because of known limited quality of labor, arising of ripple effect, looses flexibility, etc. BPL prefer to pickup employees by externally. Its big advantages are bringing new viewpoints & ideas, it will recover the ripple effect, saving training cost by hiring experience people, etc. BPL usually utilize formal method for external recruitment. For exempt workers BPL uses newspaper advertisements. All the requirements of the job are clearly stated in this advertisement. They are not performing any kind of blind ad. Newspaper advertisement creates large responses. Most of the job ad readers claim organization’s name is crucial point of advertisement that way they are not using blind advertisements. On the other hand BPL uses Employment Agencies of external recruitment for only non- exempt workers like- security guards. Although it is an expensive method but it is crucial factor for BPL. Self motivated. For this reason turnover rate is low. After considering the positive and negative aspect of the job and employees expectation rate become lower. It reduces gap between expectation and reality, and consequently reduce absenteeism, tardiness and thinking about job quitting, etc. BPL employees are very much committed to take the decision. It may increase for staying with the organization BPL’s employees are concern about the unpleasant event what may occur unfavorably will be able to cope with the situation. Selection process for assessing job applicants follow HR Planning and Recruitment. The main objective is to peak up the individuals who will do well on the job. BPL usually use hybrid approach for selection process. It consistent with the Multiple Hurdle Approach as well as Profile Matching approach. Every employee should pass each stage before going to the next step. Here at each stage selection is made. In a profile matching approach there is a standard criterion of a successful employee that should point out for each candidate. Those who cover-up most of the requirement he become selected for the job. There are many selection devices use in the organization. Such as- application blank, weighted application blank, bio-data, interview, physical test, etc. BPL follows this procedure where they can predict employee’s performance, tenure and employee theft. It will also clarify if anyone has tendency to inflate/ false information, is to develop a questionnaire to see how he/ she tackle situation. BPL does the reference check through face- to- face by providing police verification and by telephone. BPL claims at least 2 personal references. A widely use device for the selection process is to take interview. BPL also follow this method. Interview has 3 categories- unstructured, semi- structured or cone approach, and structured interview. BPL mostly use structured and semi- structured for their aggregate level employees. It also use semi- structured and unstructured for experienced mid level management employees. In a structured interview all question asked by same sequence. It has a degree of reliability. In semi-structured or cone approach some questions are asked from the specific subjects. When an interview doesn’t plan the questions or their structured is named as unstructured interview. It has low degree of validity. Physical testing is part of selection process. It is essential for blue collar employees. In BPL accomplish physical testing for all type of employees. Although it is a expensive decision but BPL are committed to do physical testing for ensuring employees sound health. Managerial job is a vital post for each and every organization. When an organization select a person for managerial job to be identify himself accurately. They need to do mental ability test and personality test by assessment center. Assessment center has some characteristics. BPL follow those characteristics. DBBL evaluated a manager by giving them assign job, situational problems, role-playing decision makes, case study, management games, etc. it has a high validity and it can also predict both long and short-term success and advancement in management position. BPL doesn’t recruit new or fresh graduates for managerial post. It recruit at least 5 years experienced employee for managerial post. Compensation is a system consists of getting together money, goods and services which is taken by the personnel offering by the employers or organization. Compensation is a set of benefits added with the employees basis salary. Compensation works as a motivation tools for the employees. BPL maintains a sound compensation system for their employees. BPL setting an appropriate planning for compensating personnel. So that compensation system fulfill their personnel need. Sometimes it exceeds employees expectation. As a local renown pharmaceutical corporation BPL maintaining compensation properly because it may assist to create flexible working environment, raising productivity that brings result on higher returns. Training is a learning experience in that it seeks a relatively permanent change in an individual that will improve his or her ability to perform on the job. Training can improve the changing of skills, knowledge, attitudes, or social behavior. It may mean changing what employees know, how they work, their attitudes toward their work, or their interactions with their co-workers or their supervisor. Every organization needs to have will-trained and experienced people to perform the activities that have to be done. Job conduct training is very much emphasizing on job performance. BPL consequently has given priority of training and development to the employee. So that BPL introduced training wings as a separate department. Beximco Pharmaceuticals Ltd. With its progressive business outlook, believes and practices corporate work culture with a classic blend of efficiency and equity. BPL believes in company growth by increasing efficiency level of employees and for that offering excellent environment and support for skill and knowledge up gradation. BPL values productivity as the spontaneous contribution of Human Resources. Strategic Human Resource Development Programs are the energy sources for BPL HR for running towards the zenith of success. Flow of clear and specific information and justification of queries play the vital role to ensure the market reputation of BPL as the most trusted and transparent company and it enriches the motivation level of HR who are the real contributors and owners of his / her own jobs. At BPL, HRD symbolizes the unique blending of professionalism as well as sharing the stress and success equally like a family where every member has deep concern, feelings and pride for their own company BPL. HR ensures the strong supporting role to develop & implement HR policy guidelines for ensuring uninterrupted operation and spontaneous participation to achieve organizational objective as well as fulfillment of employee needs. HR is maintaining an effective way to deal with labor union and still no unrest has been recorded as dispute. Personnel working here are taking care of BPL as if it is their own family. Employee-employer relation is cordial and supporting always.